After many years and a lot of mistakes, I’ve finally got a shopping game plan that works. I’m spending less money than ever before on my family’s clothing, but I’m able to buy high quality clothing from our favorite brands that we love to wear. Here’s how to shop smart for clothes. I’ll start off by saying that this is not a post about where or how to score great bargains on clothing. Instead, I’ve discovered that STRATEGIC SHOPPING saves me more money in the long run than bargain-hunting alone ever would. My methods also save me a lot of time, and allow me to buy clothing from my favorite brands without going over budget. This is a lesson that took me years to learn, but now that I finally caught on, it has really paid off. Since t-shirts and tops are in abundance, easy to fit, and often inexpensive, people tend to buy those first and buy them often. But that means you’re left with a bunch of tops and nothing to pair them with. When you work from the bottom up, starting with shoes, you ensure that you’re building a wardrobe of coordinating outfits rather than a hodge-podge of individual pieces that may not match anything else. When you focus on the shoes you need first, you can make sure that all of the bottoms you buy afterwards will coordinate with those shoes. Once you’ve got your shoes in place, determine the style, type, and amount of bottoms you need and shop for those. After you’ve bought all of the bottoms you need, it’s time to find tops, sweaters, sweatshirts, hoodies, etc. to match. You’ll find it’s SO much easier to decide on a top when you already know what bottoms and shoes you need to coordinate with. If it’s coat season, save the coat for the end. That way you can choose a coat that coordinates with the clothing items you’ve already bought. Accessories like headbands, hats, gloves, etc. should be the very last things on your list. I make lists for the grocery store and Target all the time, but I only recently started making lists for clothing shopping, too. It’s made life SO much easier. Instead of just saying, “Let’s go shopping for pants,” make a list of the exact number, type and style of bottoms you need. 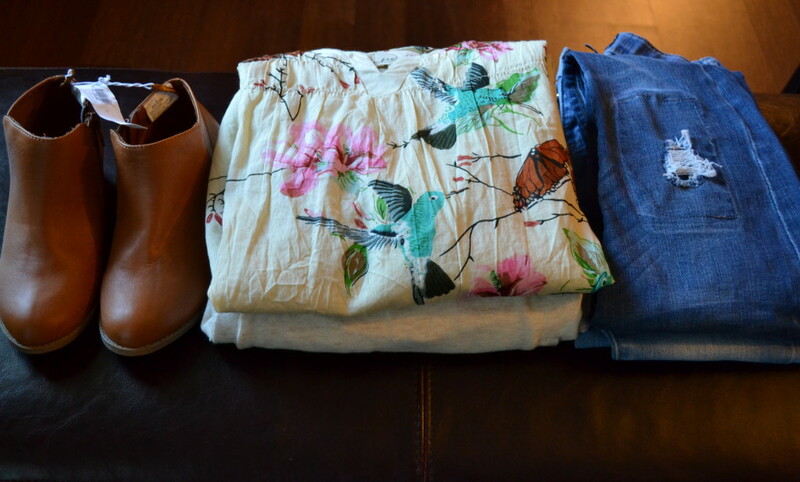 For example: 2 pairs of jeans, 1 skirt, 2 dresses, and 1 pair of leggings. It’ll help you stick to your plan, and to know exactly what you need so you don’t overbuy or end up with several versions of the same thing. I always think I’ll remember what I need, but I get easily distracted when I’m in a store, so having a list to refer to really helps. This strategy will save you money as well as time. I used to be lured into any store that was having a “Big Awesome Sale.“ I’d hop from store to store and website to website, snatching up the best deals and feeling good about my thriftiness. But now, I only shop at a few stores. I wait until one of them is having a sale, and do my shopping then. When you limit yourself to only a few stores, you might think that the grass is greener elsewhere. But the perks to narrowing your store selections far outweigh the negatives. 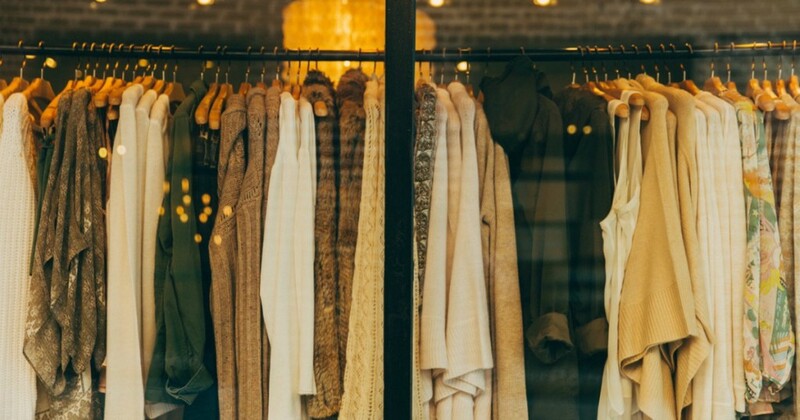 First, when you get to know a store, you’ll have an understanding of their sale patterns. Do they offer everything for 40% every two weeks? Do they usually do deep discounts at the end of every month? You’ll become an expert in that store, and you’ll save money by knowing exactly when to go there and when something is being sold at a great price (and when you should wait). Second, it will be much easier to put outfits together. Since stores tend to have similar color palettes and styles during a given season, you won’t drive yourself crazy searching out a top to match a certain pair of leggings, or a cardigan to go with the t-shirts you’ve bought. If you’ve found a store where the clothing tends to fit you or your kids well and you like the quality and style of the clothing, then shop there! Don’t overthink it. And, if you find a certain item that fits great, go ahead and buy it in multiple colors. This probably runs contrary to most advice you’ve heard when it comes to saving money. Most people love to stock up at end-of season sales, and I get it….I used to be one of them. I LOVED hitting the after-season clearance sales and stocking up on clothing for the following year and beyond, especially for the kids. But while my efforts sometimes paid off, a lot of times the clothes I’d bought went unworn, and ended up being given away with the tags still attached. I’m all about getting good deals, but these days you can find great sales going on year-round. I’m amazed at how much fall clothing is already discounted before the weather’s even gotten chilly! It might feel like you’re saving time and money by buying ahead, but if you wait and only shop when you need something, you’ll get more bang for your buck because whatever you buy will fit AND you know you’re going to wear it. I know that clothing shopping for a family can be tough (and expensive), but if you use these four strategies, I promise you’ll save time and money, and hopefully even have a little fun in the process! If you have any shopping advice to add, I’d love to hear it in the comments. Marshalls is typically where I go to save on clothing. Or eBay! Thanks so much for the great tips–I will keep this in mind for my maternity cloths shopping too! Thanks, Sue! I originally wrote this post to be all about shopping for kids, but then I realized it applies just as much to shopping for MYSELF as it does for my kids, so I did a revision. Hope it helps you out!